Services include standard eye examinations, enhanced eye examinations, dry eye clinics, and a full contact lens fitting service including varifocal contact lenses. 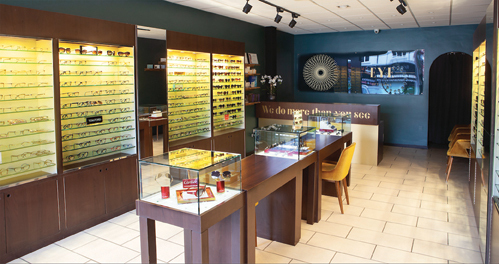 Eye Opticians also provides clinics to diagnose and manage conditions like visual stress and photo-sensitive migraines. To celebrate this milestone, Eye Opticians is giving customers a special offer (see below), and also holding an Open Day at the Barnt Green branch on Saturday April 6. Pop along between 9am and 5pm to see the latest collection of Tom Ford frames and sunglasses, and take advantage of special offers and a prize draw.